Washington has previously said it won't seek to initiate contact with North Koreans attending the South Korean games, but it does want talks with Kim Jong-Un in an effort to get him to abandon his nuclear program. 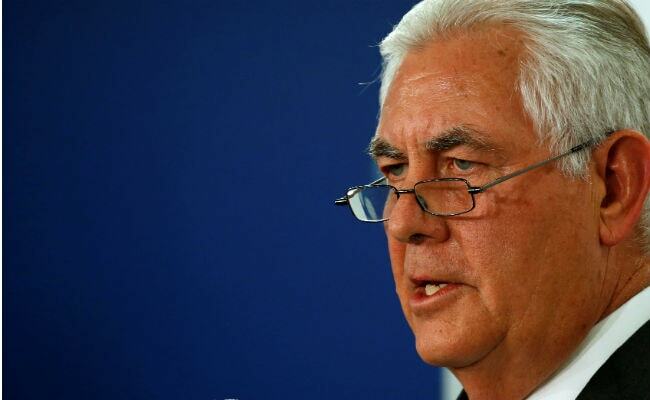 Lima, Peru: Vice President Mike Pence or other US officials might meet with North Koreans at the Winter Olympics in Pyeongchang next week, Secretary of State Rex Tillerson said Monday. Asked during a visit to Peru whether Mr Pence might accept an invitation to meet the North Korea delegation, Mr Tillerson - who is pushing for a diplomatic solution to the crisis - would not rule it out. "With respect to the vice president's trip to the Olympics and whether or not there would be an opportunity for any kind of a meeting with North Korea, I think we'll just see," he told reporters. Pushed on whether that meant he was not saying "no," Mr Tillerson replied: "We'll see, we'll see what happens." Mr Pence is visiting Alaska, Tokyo and Seoul before attending the opening ceremony in Pyeongchang on Friday. This is Mr Pence's second visit to the region as vice president and comes as President Donald Trump's administration is working to put "maximum pressure" on the North Korean regime through diplomacy and sanctions. Washington wants to prevent leader Kim's engineers from marrying their proven ballistic missile and nuclear capabilities, which would put the continental United States within striking distance. Mr Trump has repeatedly said he would not allow this to happen, and as both sides have traded warlike rhetoric, fears have grown that some spark could set off a devastating conflict. But North and South Korea have also, at least temporarily, put aside their enmity to allow Pyongyang to send athletes to the Games, an opening that some see as an opportunity to push a negotiated settlement.